Single-pane windows can be incredibly inefficient and, consequently, are often replaced with newer, more efficient windows. But just because they aren’t fit to protect a home any longer, that doesn’t mean that they need to be thrown out. 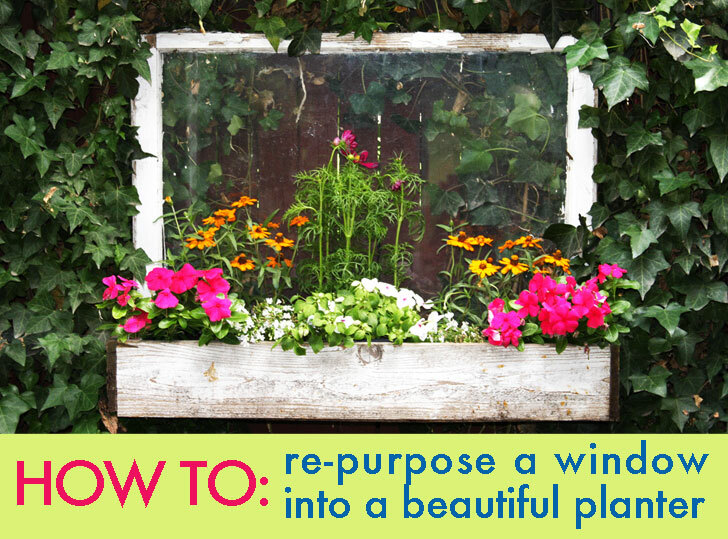 Instead, break out the tool belt, and a few pieces of scrap lumber, and create the perfect window planter box. 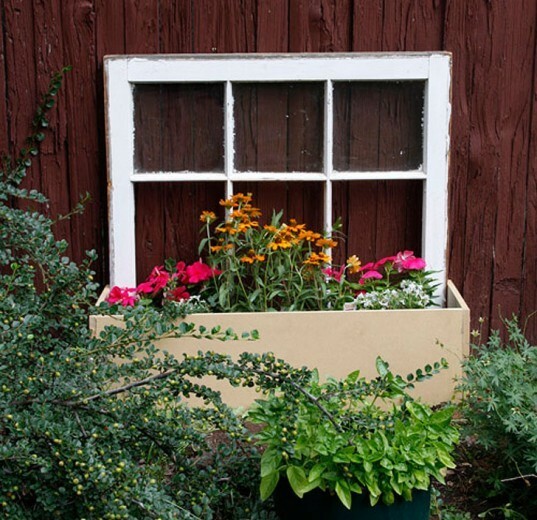 Indoors or out, a window planter box is a unique way to spruce up your home! 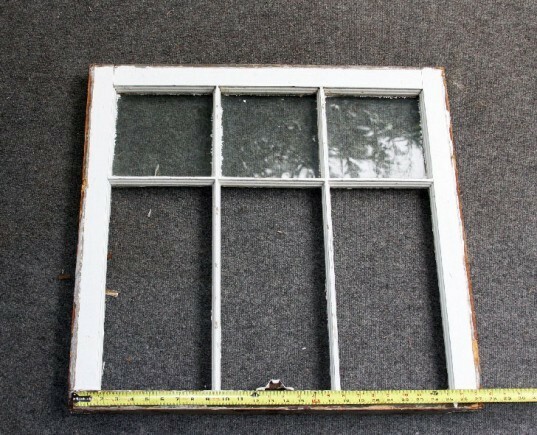 Measure the width of the window across the front from end to end and cut a piece of lumber using a hand saw to this length. 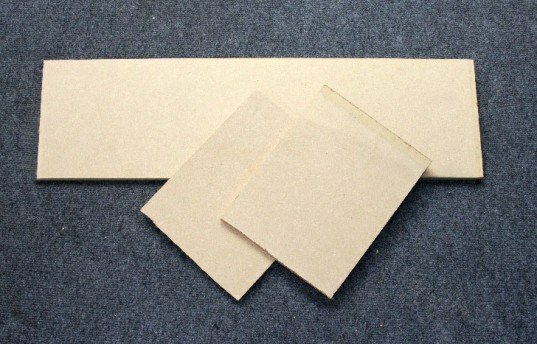 A 1-by-4 piece of lumber works well, but you can use any size that you’d like. A deeper box allows for larger plants, but if you plan on using pots, you really only a need a lip to hold the pots in place. Cut two sides for the box out of the same piece of lumber. The sides can be any depth that you want, but again, the larger the box the more plants you can fit. Plan on at least 6-inches to allow for small plants. Screw the first side onto the window. 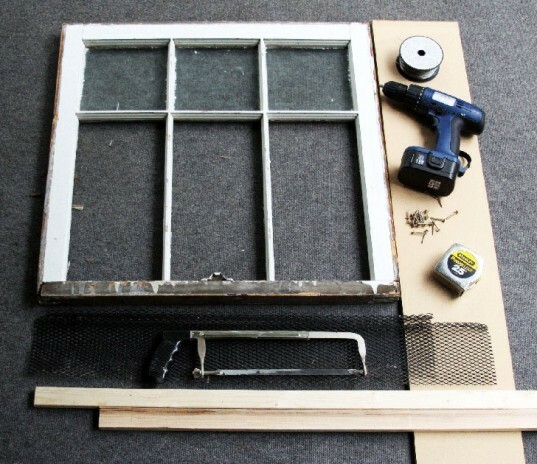 Line up the side piece with the side and bottom of the window, making sure to keep the side piece flush with the window. Screw in the second side piece of lumber to opposite side of the window. Line up the front piece between the side pieces. Screw in one side using screws every 4 – 6 inches. Screw on the second side to complete the frame of the box. Cut a piece of lumber to the measurement that you made in the first step. This piece will act as a brace for the bottom, so look for a 1-by-1 or a 1-by-2 piece of lumber. Insert the piece into the center of the frame at the bottom. With the piece flush with the bottom of the box, insert screws in both sides to secure. 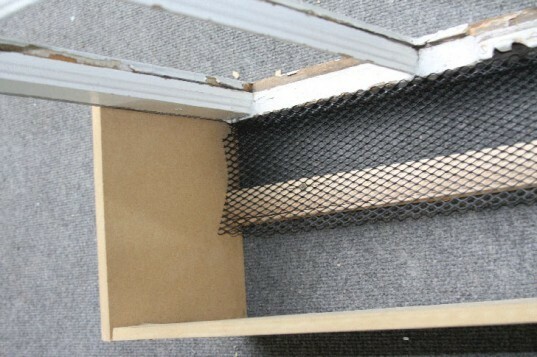 Affix a piece of wire mesh to the base of the box by setting the box upright and laying a piece of mesh in the bottom. Screw the mesh onto the support brace, the back and the sides of the box frame. STEP 7: Add a finish and enjoy! Paint the planter for added durability or simply allow it to weather naturally. Either way, your planter will only improve with age. Set your planter in the garden or insert screws into the back sides of the window and wrap with wire so you to hang the planter on a fence or wall. If you want to plant plants in the box, line the planter with a planter liner, or you can just set loose pots inside. I do love this project, but please update it and let people know they should not be using MDF for the planter box. 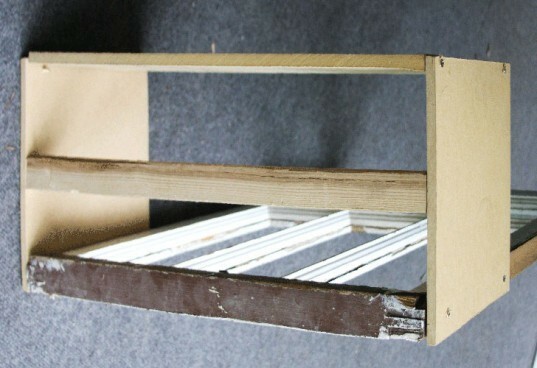 It will fall apart soon after getting wet and is a terrible product filled with toxic glues. A "green" treated lumber would last a lot longer and will weather nicely, as noted in the post. STEP 1: Measure your window Measure the width of the window across the front from end to end and cut a piece of lumber using a hand saw to this length. 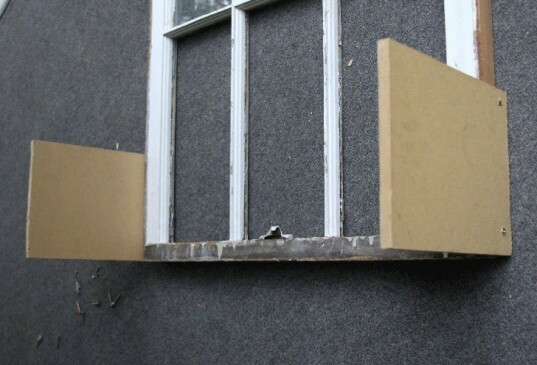 A 1-by-4 piece of lumber works well, but you can use any size that you’d like. A deeper box allows for larger plants, but if you plan on using pots, you really only a need a lip to hold the pots in place. STEP 2: Cut sides for your box Cut two sides for the box out of the same piece of lumber. The sides can be any depth that you want, but again, the larger the box the more plants you can fit. Plan on at least 6-inches to allow for small plants. STEP 3: Screw the sides to the window Screw the first side onto the window. 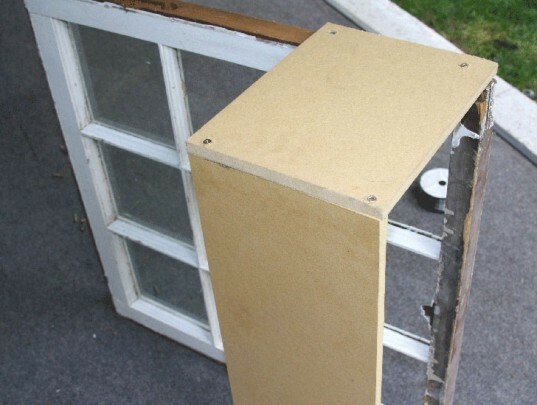 Line up the side piece with the side and bottom of the window, making sure to keep the side piece flush with the window. STEP 4: Screw in the front side Line up the front piece between the side pieces. Screw in one side using screws every 4 - 6 inches. Screw on the second side to complete the frame of the box. STEP 5: Add a support brace Cut a piece of lumber to the measurement that you made in the first step. This piece will act as a brace for the bottom, so look for a 1-by-1 or a 1-by-2 piece of lumber. Insert the piece into the center of the frame at the bottom. 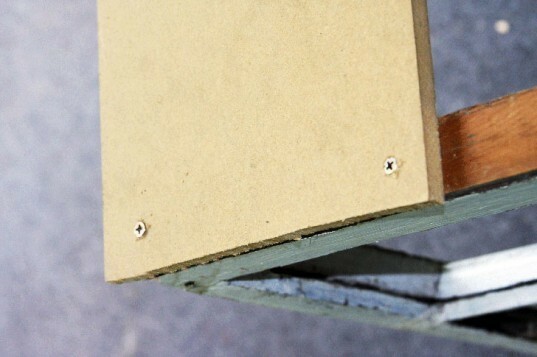 With the piece flush with the bottom of the box, insert screws in both sides to secure. STEP 6: Add mesh to the base Affix a piece of wire mesh to the base of the box by setting the box upright and laying a piece of mesh in the bottom. Screw the mesh onto the support brace, the back and the sides of the box frame. STEP 7: Add a finish Paint the planter for added durability or simply allow it to weather naturally. Either way, your planter will only improve with age.